← The Pinky and the Brain Couldn’t Do It, But Android Has… Over the World of Technology That Is! To respond to your question regarding Six Sigma, I think you make a good analogy with a diet plan. My previous employer was hoping to use cost-cutting initiatives to reach specific profit goals, but they weren’t willing to change their culture to embrace the cost-cutting initiatives. Ideas by newcomers to the organization were always viewed with the mindset “that will never work here.” As a result, the business was starting to fail at employee retention. People were disgruntled and projects stalled just like you describe above. However, I started a new job five months ago at a worldwide leading food manufacturer. The company has completely changed its culture to center around the Six Sigma/TPM/Continuous Improvement culture. The company has put together a program that is impeccable at working to challenge new people in the business. Since starting five months ago, I have personally handled four minor projects aimed at reducing cost, improving quality and improving safety and am starting my first major Six Sigma project focused at reducing waste. Because I have bought into the program, I am being rewarded with more challenging projects. For a company to be successful at implementing Six Sigma, they have to have a long-term strategy for continuing to use those in their organization that embrace six sigma as a culture change and center their entire company around it. To sum it up, both of the firms I worked at were major Fortune 100 companies. The only difference was that one company was rolling out Six Sigma as something complementary to its business, and the other centered its business around Six Sigma. I believe the latter is obviously more effective, but also the most sustainable. I think this is such a great comparison and analogy. 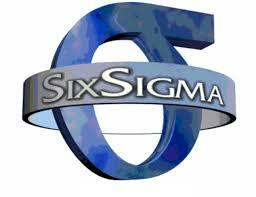 Going along with the analogy, companies won’t benefit from six sigma if they just make drastic or quick changes. They need to focus on changes that can be sustained long-term, just like someone should do who wants to change their diet. It needs to be something you ( the company) needs to be fully committed too and the changes need to be feasible or something the company is capable of doing. Like a diet, there is no one diet or quick fix that will guarantee weight-loss, but if a company finds a way to fit six sigma correctly into their processess they will be able to benefit and sustain their corrective actions. Very nice analogy with this article. Like a diet, the hardest part is at the beginning of your process. It can be hard to turn down the McDonald’s and Wendy’s for some carrots and salmon. In the same way, it is hard for companies to identify and rid themselves of waste that they have created. 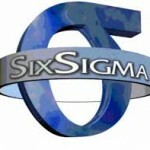 I have been in distribution sales and have worked with many manufacturers for the past 7 years and I have seen a lot of places where six sigma has been very successful and places where it has crippled the company and almost put them out of business. I think many companies miss the boat by preaching that there must be “buy in” from the co-workers. I believe that if you can achieve “be in” from the workers, your implementation will be much more successful. “Be in” refers to having the six sigma team come in and start to teach the practice of six sigma, but getting small victories in the plant and in the office to show the people the benefits of what this process entails. People then start to become excited for the opportunities ahead, instead of feeling like they have to “buy in” because their boss told them they needed to abide. These small victories must happen very shortly into the process and people need to see measurable results very quickly as well. Much like a person deciding to put down the burger for a piece of fish, if they can see some results quickly (lost weight), they will be much more likely to stay the course. If your company can get the “be in” from your workers, you have a much better likely hood that you will be one of the 4 in 10 companies that have a successful launch of six sigma.